Like many loved ones of Alzheimer's sufferers, Lauren Kessler was devastated by the ravaging disease that seemed to turn her mother into another person before claiming her life altogether. To deal with the pain of her loss, and to better understand the confounding aspects of living with a disease that afflicts four and a half million people every year, Kessler enlisted as a caregiver at a facility she calls Maplewood. Life inside the facility is exhausting and humbling, a microenvironment built upon the intense relationships between two groups of marginalized people: the victims of Alzheimer's and the underpaid, overworked employees who care for them. But what surprises Kessler more than the disability and backbreaking work is the grace, humor, and unexpected humanity that are alive and well at Maplewood. 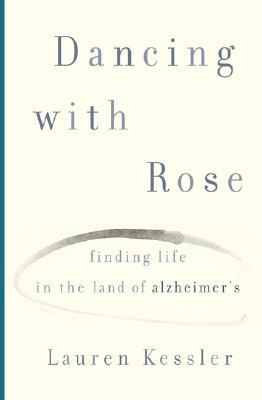 Dancing with Rose is forceful and funny, clear-eyed and compelling. An intriguing narrative about the relationships and realities of end-of-life care, it stars an endearing cast of characters who give a human face to what has always been considered a dehumanizing condition. Illuminating and beautifully written, Kessler's immersion offers a new, optimistic view on what Alzheimer's has to teach us.